In what seems to me to be the best film nominated in this year's Academy Awards (but which sadly won only one Oscar—that for Best Supporting Actress), life is depicted beautifully in twelve years' worth of video footage, and summed up perfectly, in my opinion, in two scenes. 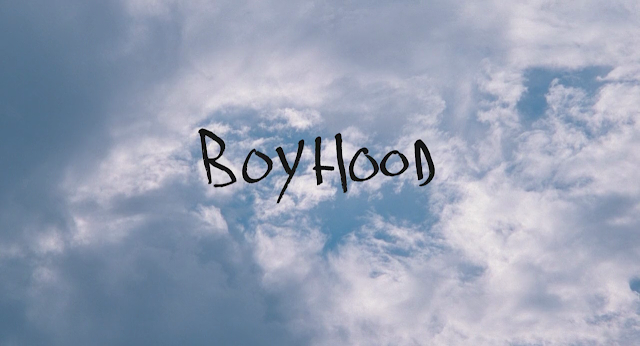 The first scene comes two hours into Boyhood, with Mason talking to his girlfriend Sheena in the car, in Richard Linklater's trademark stream-of-consciousness style of conversation. Sheena: "That sounds to me like just another extreme Mason view of everything." Mason: "Not at all! I finally figured it out. It's like when they realized it was gonna be too expensive to actually build cyborgs and robots. I mean, the costs of that were impossible. They decided to just let humans turn themselves into robots. That's what's going on right now." M: "Yeah! I mean, why not? There are billions of us just laying around, not really doing anything. We don't cost anything. I mean, we're even pretty good at self-maintenance and reproducing constantly. And as it turns out, we're already biologically programmed for our little cyborg upgrades." M: "Seriously! I read this thing the other day about how when you hear that ding on your inbox, you get like a dopamine rush in your brain. It's like we're being chemically rewarded for allowing ourselves to be brainwashed. How evil is that? We're fucked." S: "So you deleting your Facebook page is gonna change all that? Remember when Trevor deleted his Facebook page last year and everyone just hated him? You made more fun of him than anyone." M: "I still make fun of Trevor though." S: "It was like he was so pathetically desperate for attention. Or to be different, or something." M: "That's just 'cause they did that lame story about it in the school paper." S: "And then he had to make a big announcement about it when he came back a month later." M: "That's the thing, though. I'm not doing it for attention. 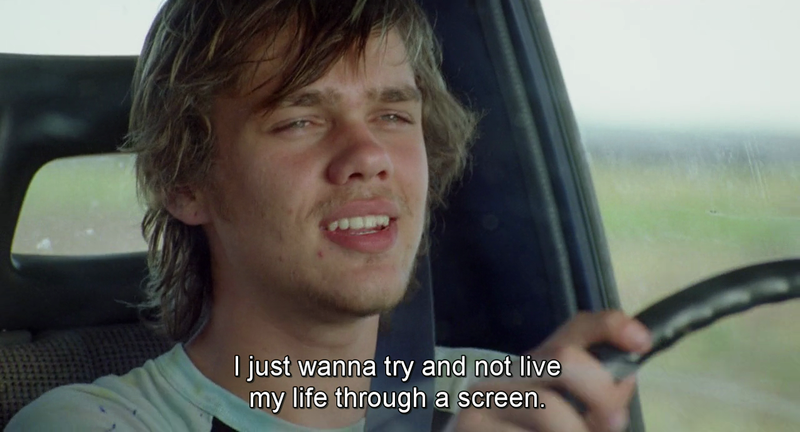 I just wanna try and not live my life through a screen. I want some kind of actual interaction. A real person, not just the profile they put up." S (looking at her phone): "I'm sorry. Were you saying something?" M: "Yeah, okay, I know you're joking. But, I mean, it's kind of true. You have been, you know, checking your phone this whole time... So, what are you really doing? You don't care what your friends are up to on a Saturday afternoon, but you're also obviously not fully experiencing my profound bitching. So, yeah, it's like everyone's just stuck in like an in-between state. Not really experiencing anything." S: "It's not an experience, it's just information. Look, for example, I just got the address of the club where we're meeting them later, so we won't be wandering the streets of Austin lost for an hour tonight. Thank you very much, Facebook... And then I just texted my mom back." M: "That's groundbreaking. She hasn't seen you in, like, 55 minutes?" S: "My God, most importantly, Meg's family just got a miniature pet pig." M (looking at Sheena's phone): "Okay, you're right. That is a really cute, tiny pig. Our lives can go on." And then right at the very end of the film, Mason and a new college acquaintance Nicole tie that thought up with the idea that we can't really seize the moment because the moment, being constant, is the one that seizes us, as if to ask, "Will we just be on our phones checking our Facebook news feeds the next time the moment tries to seize us?"